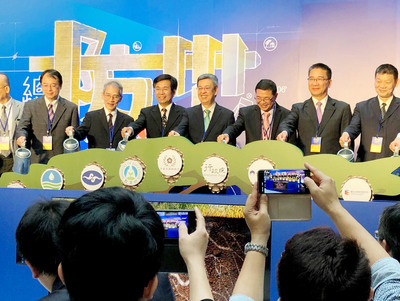 Taipei, June 24 (CNA) Taiwan's steady promotion of exchanges with China has not led to over-dependence on China, and "naturally we have not lost our economic and political independence," the Mainland Affairs Council said Tuesday. In response to a local magazine report quoting former United States Secretary of State Hillary Clinton as expressing concerns that increasing exchanges across the Taiwan Strait might cost Taiwan its independence, MAC cited a recent survey as saying that 44.8 percent of the people in Taiwan think the pace is "right," versus 31.3 percent who say the pace is "too quick" and 14.2 percent whose view is that the pace is "too slow." Even though cross-strait trade ties have improved since President Ma Ying-jeou took office six years ago, Taiwan's trade with China as a share of its total trade has actually fallen by one percentage point to 39 percent, from 40 percent in 2008 when former President Chen Shui-bian stepped down, MAC pointed out, adding that "we have not put all our eggs in one basket." MAC said the government's efforts at promoting a peaceful development of cross-strait relations have won support from the people on both sides of the strait as well as from the international community. While thanking Clinton for reminding Taiwan to act "carefully and smartly" when dealing with China, MAC said peaceful exchanges between Taiwan and China have "had positive political and social effects on China" -- something that it said will help increase peace and prosperity for both sides.